Microsoft has made its Windows Home Server available to everyone, enabling families to protect, connect and share their digital media and documents. First off the blocks is the HP MediaSmart Server that runs on the above-mentioned Windows Home Server software, which a pre-order can be placed on numerous online shopping sites such as Amazon.com, Bet Buy.com, Buy.com, Circuit City.com, and CompUSA.com. 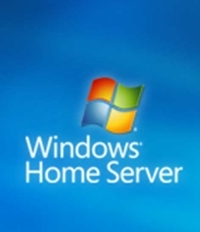 What’s all the spectacle about Windows Home Server? Well, it was designed to be a “stay-at-home” server that is capable of delivering powerful server technology used by many people at work within a simple, easy-to-use solution for the home. In addition, it will back up Windows XP-based and Windows Vista-based home computers each night automatically, making sure that its role as a central place to organize digital documents and media will not be compromised in case of a hard drive crash. Each purchase also includes a free Windows Live Internet address to access the home server from virtually anywhere and share content with friends and family. It can also monitor both the health and security status of home computers while streaming media to various devices throughout the home (including the Xbox 360). The HP MediaSmart Server will come in 500GB and 1TB versions that retail for $599 and $749 respectively, with other manufacturers such as Fujitsu Siemens and Iomega to follow sometime next year with their own models.